Here is a closeup of of the throat of Southern Monkey Flower (Diplacus longiflorus) on a bush in the San Jacinto Mountains, near the Silent Valley RV Resort. March 5, 2012. 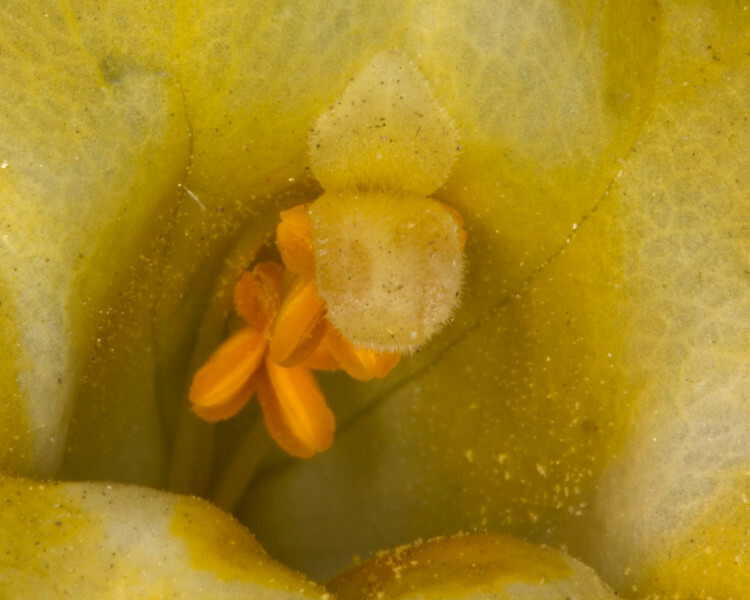 Obvious is the stigma (which is connected to the style and the ovary below) in the center and the gold anthers below.